From the comfort of his bedroom, George forges connections to all that is special to him: Music, games, the world-wide-web and more. At times a hive of activity, at others a sanctuary, George’s bedroom is the centre of a world where even everyday objects can become a playground. The line between entertainment and distraction has never been so blurred. It’s hard to focus when you’re this wired. Wired is a 12-minute solo performance incorporating contemporary dance, street dance and parkour. It includes scenic elements of furniture decorated using street graffiti. Wired is set to an original score and can be performed in a range of spaces and places. It is performed by George, a long time member of Flex Dance. In 2015 George became the first dancer with a learning disability to successfully audition for the National Youth Dance Company of England joining the company for an extensive national tour. Wired was developed through the summer of 2017 and was premiered outdoors at Stockton International Riverside Festival. 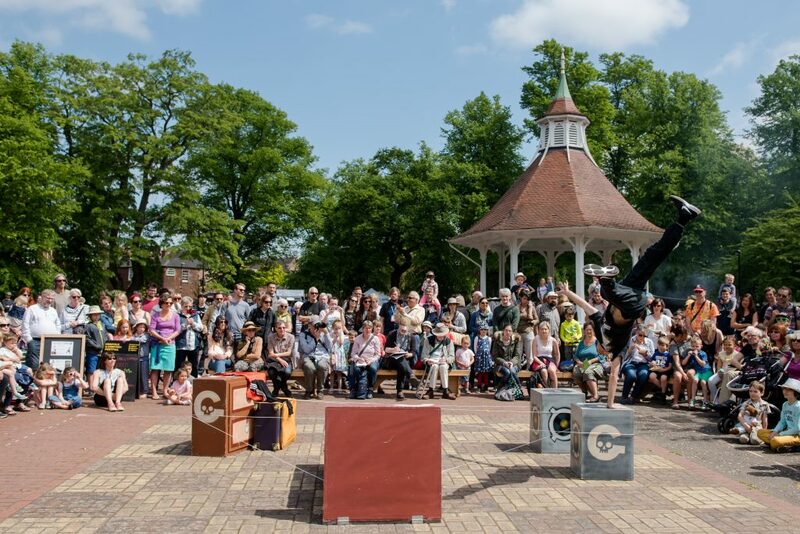 Flex Dance is an associate company with Stockton International Riverside Festival and has created a number of works for outdoor including ‘Parked’ (2013) and ‘Caty Wompus’ (2016) both of which have gone on to tour nationally. Flex Dance demonstrates how artists with a learning disability, autism or both can produce and perform excellent work. Flex Dance creates engaging dance pieces that are beyond people’s expectations of what can be achieved containing movement, skills and choreography that breaks through the walls of perception and expectation. Flex Dance is the touring performance strand of TIN Arts, a National Portfolio Organisation and one of the leading inclusive dance organisations in England. Supported for touring by Without Walls.